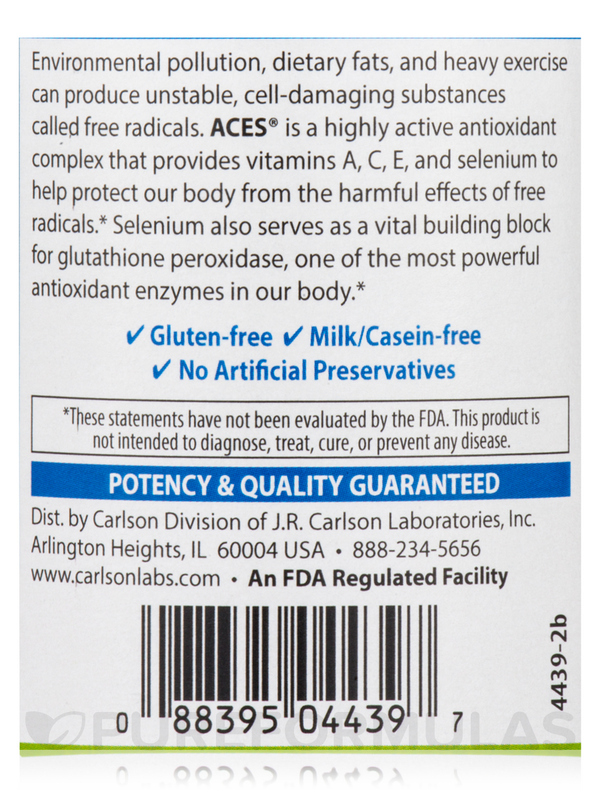 ACES® offers your body the benefits of certain essential nutrients that also act as potential free radicals. 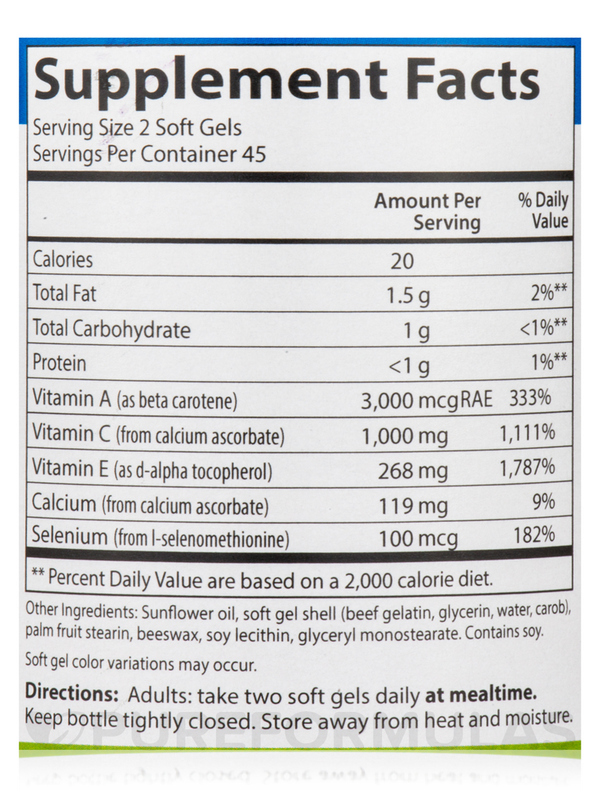 ACES® contains vitamns A‚ C‚ and E as well as the mineral selenium. Together‚ the essential nutrients in ACES® can support a wide range of essential function in our body like immunity‚ eye health‚ and much more. But they are also antioxidants‚ which means that have the potential ability to neutralize unstable free radicals. Recent studies have indicated that free radicals are linked with some very serious health concerns. 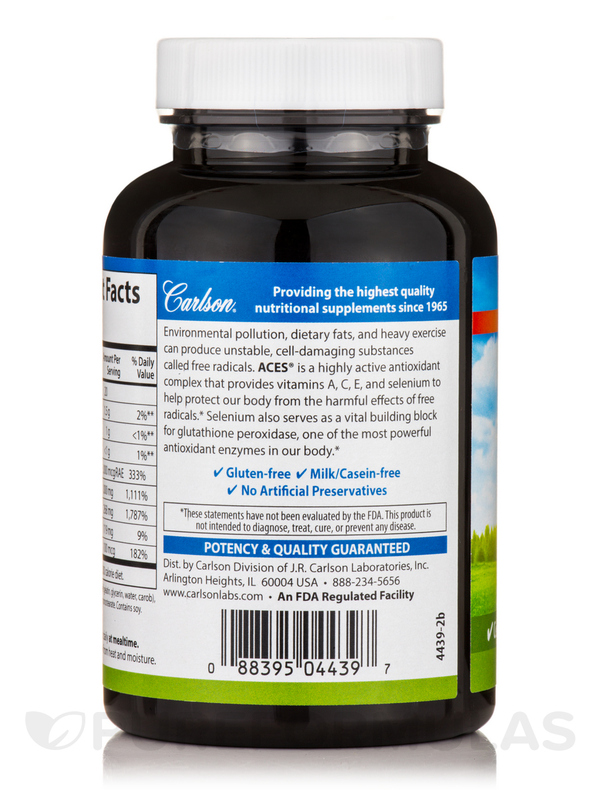 So if this possible antioxidant protection is what you're looking for then ACES® from Carlson may be just right for you. **Percent Daily Value are based on a 2‚000 calorie diet. 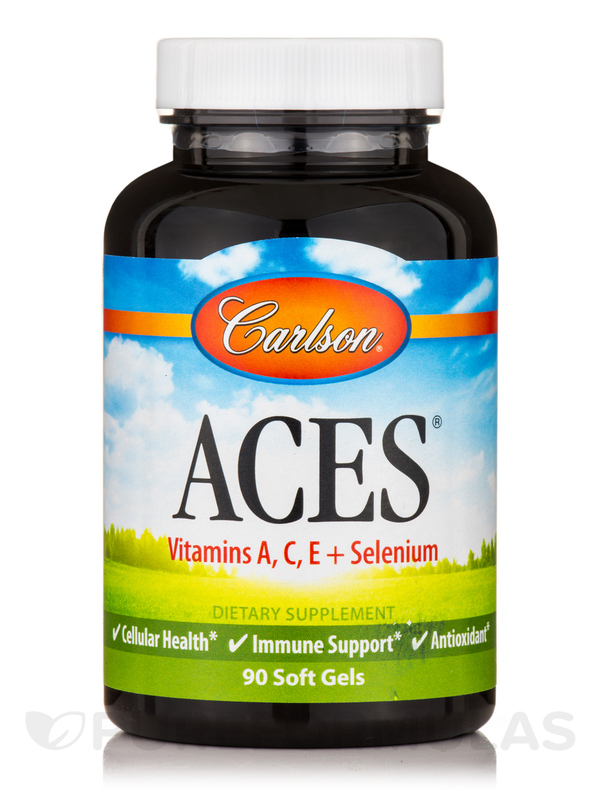 I have used ACES by Carlson Labs for years as an antioxidant. 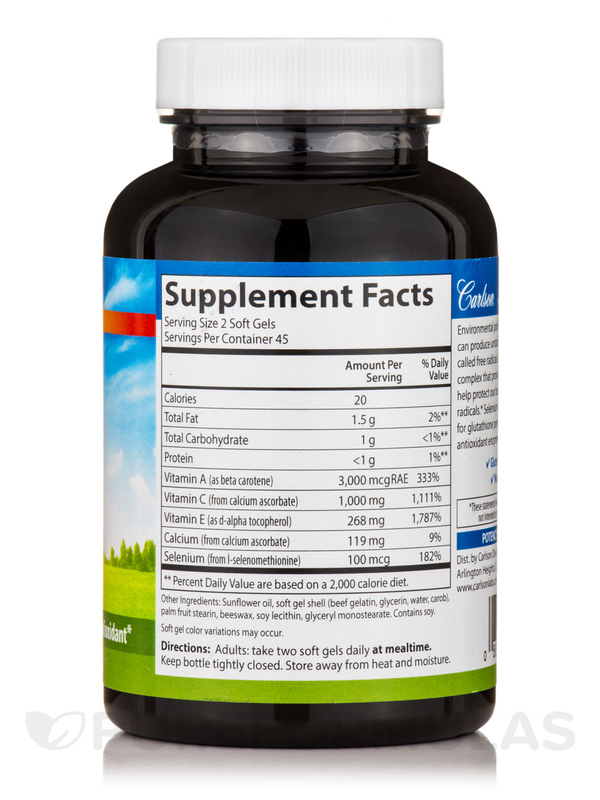 It has helped with my health problems, and kept my cells in tip top shape. There is not a product Carlson makes I do not trust. PureFormulas is by far the leader in great products and fast shipping. For me ACES has been wonderful! It works and keeps working to keep me healthy!